A damp home is a house at risk. Chronic dampness issues can affect both the structure as well as the health of the indoor environment. Excessive moisture also makes indoor comfort control problematic and can raise monthly heating/cooling costs. 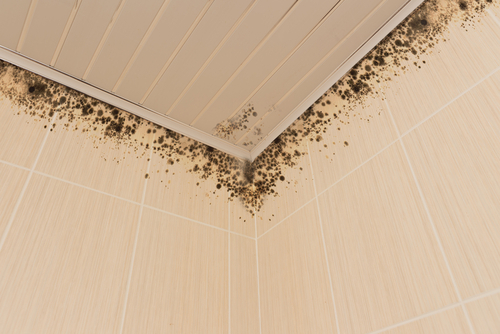 Here are three specific complications of a damp home. Damp conditions inside a house elevate indoor humidity. Once humidity exceeds 60%, dormant mold spores may be triggered to become active growing mold that releases airborne reproductive spores. Persons sensitive to mycotoxins carried by spores may experience ill effects, ranging from allergies to chronic illness. Effective mold control involves removing active mold as well as identifying ongoing sources of dampness that support mold growth and correcting them. Certain zones prone to chronic dampness—primarily the attic and crawl space—also contain exposed wooden structure vulnerable to moisture. When condensation forms as humid attic air cools overnight, or roof leakage occurs during rain, chronic attic moisture can cause wood rot and warping in rafters, roof sheathing and other wooden components. In the crawl space, dampness often persists as soil moisture due to high ground water exudes from the dirt floor. Wooden floor joists and subflooring may decay in these wet conditions. Certain types of termites also thrive on damp wood. Effective attic ventilation to reduce humidity controls attic condensation. Annual roof inspections catch leaks before they become a threat to the structure. In the crawl space, installation of a vapor barrier keeps soil moisture out. A chronically damp home environment is difficult to heat and cool consistently. Clammy, cold indoor conditions in winter can exacerbate a variety of illnesses and degrade comfort overall. In summer, high indoor humidity makes the house feel hotter than it actually is and reduces the effectiveness of air conditioning. A whole-house dehumidifier maintains indoor humidity in the recommended range in all seasons and promotes a healthier, more stable and comfortable home environment. This entry was posted on Tuesday, January 29th, 2019 at 8:40 pm and is filed under Mold, Tips & Safety. You can follow any responses to this entry through the RSS 2.0 feed. You can leave a response, or trackback from your own site.